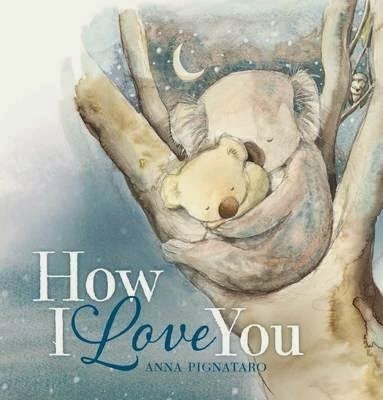 Although not specifically marketed towards Mother's Day, this charming picture book relates expressions of love between children and their mothers and would be perfect for the mood of Mother's Day celebrations. Populated with Australian animals - mums and babies - this story is filled with expressive text, warmth and gentle movement. Energetic words such as snuggled, nuzzled, tickled and nestled, conjure up lovely images of these little animals and their own special ways of showing love. The illustrations are beautiful. Muted colours - browns, olive greens and grey blues - reminiscent of the Australian bush create soft images. Characters such as Little Sooty Owl, Little Wobbly Wombat and Baby Possum are very much alive in the pages of this book. How I Love You is a beautiful story showing the mother child relationship wrapped in love. Its’ calmness and repetition make it perfect for bedtime reading and the strong sturdy pages and binding means it will survive countless readings and little fingers.